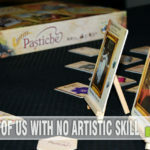 You’ve heard us excitedly tell you about our experiences while attending Gen Con in Indianapolis last summer. In case you forgot, Gen Con is North America’s largest gathering of tabletop game companies and fans. Last year there were well over 60,000 different attendees over the four day event! This summer promises to be even bigger with the addition of Lucas Stadium to the venue map. We cannot wait! There was one room we continued to visit last summer that not only provided some much needed rest and nourishment, but a library of games that were free to play. We referred to it as the “Rio Grande Room”, and while this is technically accurate, it is actually an entire ballroom rented out by Rio Grande Games to feature their huge library of games, past and present! That’s where we first discovered Mogul, a small-box strategy game fresh off the presses by Rio Grande. Set in the 1920’s, it promised to provide the excitement and experience of trading stock in railway companies while trying to avoid the infamous stock market crash. 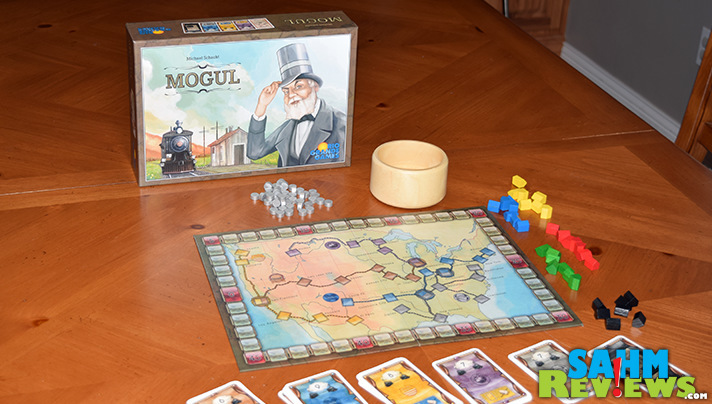 What intrigued us about Mogul was its unique bidding mechanic. 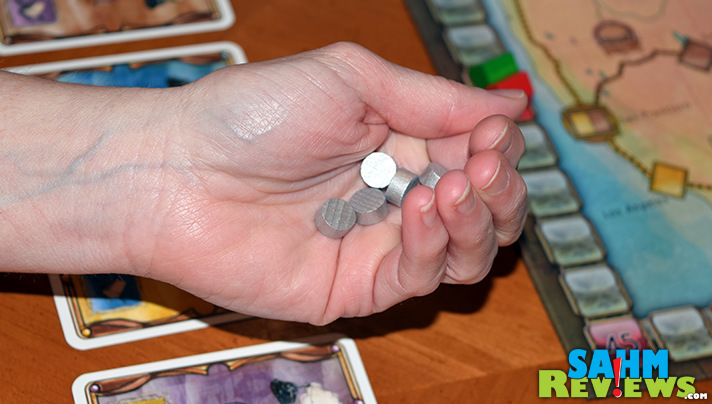 Each player receives six tokens at the beginning of the game and keeps them hidden in the palm of their hand. 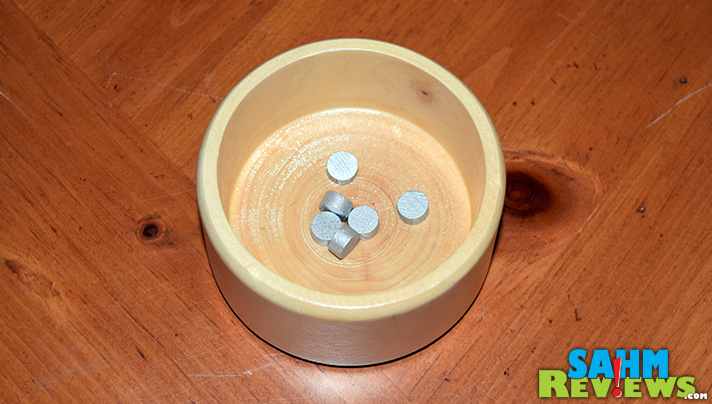 During every round, a new card is drawn and players take turns adding a token to the included wooden bowl as their bid. At any time you can pass and collect the tokens already bid, increasing your pool of bidding tokens for later rounds. The last person standing (everyone else passes) receives the card. But what they do with the card still hasn’t been decided. 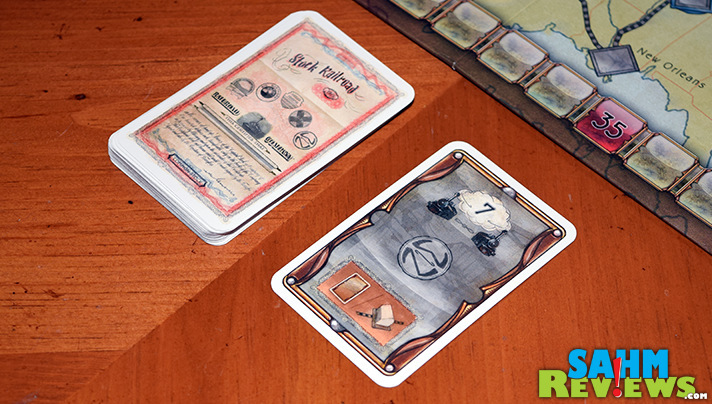 Each card has a main color that represents shares of stock in a particular railroad. There is also a smaller area at the bottom that has another option they may choose. You can either sell stocks of that color or erect a railroad station on the board in a space of that color! As a twist, the person who was the 2nd to last person in the bidding process gets to take the action that the winner did not select. If they sold or erected, that second place person gets to take the card and add it to their portfolio. 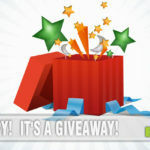 If the winner collected the shares, then the second player can now sell or erect a station themselves! 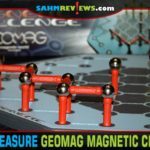 Like any business-related game, the ultimate winner is the one with the most money – which is kept tally on a scoring track around the outside of the board. Whenever you sell shares, you receive dollars (points) equal to the number of shares you are selling times the total number in play. Unlike the bidding chips, everyone’s portfolio is public information to help you determine the right and wrong times to sell. Randomly seeded towards the end of the draw deck is a “Crash Card” that signals the end of the game (and the stock market crash). When drawn, the game immediately ends and final scoring occurs. You receive one dollar for every share still in your portfolio, one for every five chips in your hand and then move on to the rail stations. When building, you are trying to build on same-colored rail networks as your score is determined by the number of stations times the number on a particular network. Some station locations serve two rail networks, so those will score for each one! Mogul turned out to be quite easy to learn, and with this unique bidding technique, a very social game. Timing when to pass (which is necessary with only six chips to bid with) and when to go all-in is key to being a successful rail baron. And just like in the real world, buying low and selling high perfectly simulates real-world stock trading. While listed for ages 13+, in reality it could be enjoyed by 10+ very easily. 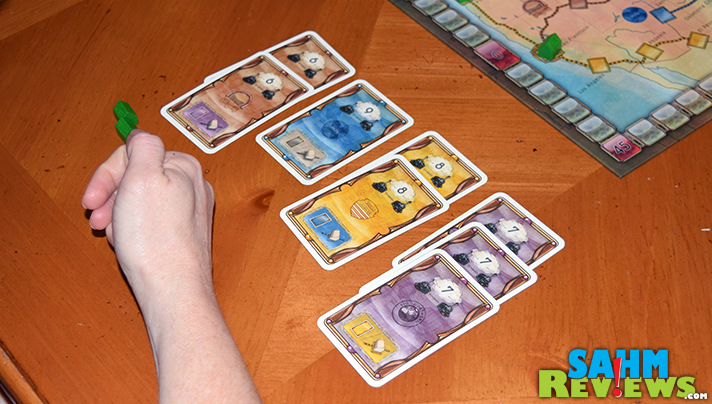 Mogul also nicely supports 3-5 players, with five being the most fun in our opinion. 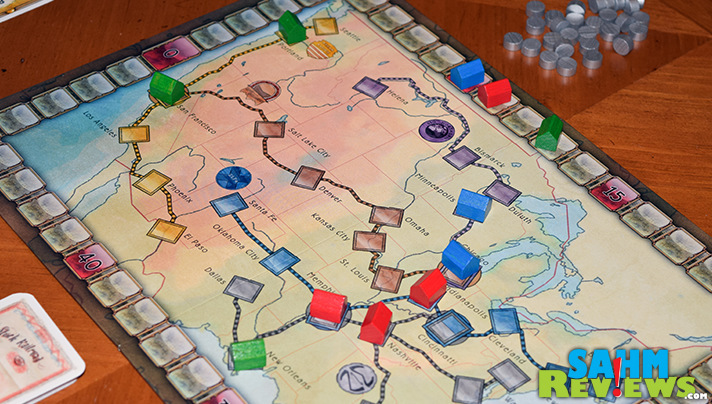 Available on Amazon for under $30 shipped, Mogul did remind us a bit of one other Rio Grande Games railroad-themed title we highlighted a couple years ago – Boxcars. And while that one is a very complex and long game, Mogul compliments it nicely since it can be played in around 45 minutes! Railroads not your thing? 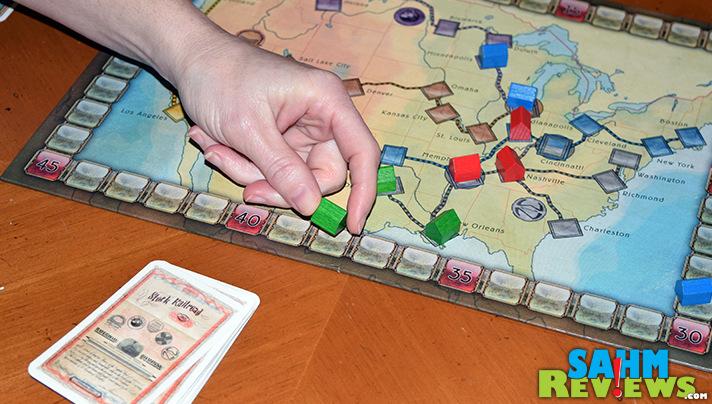 Then be sure to check out Rio Grande’s other great titles, including the ever-popular Dominion series! What is your favorite game theme? Railroads are not really my thing although I do like trains a little. I love that this game is easy to learn and that it teaches the players about bidding and finances. We are always looking for new games to add to our collection. Love this one and that is similar to something like Monopoly. This looks like a fun and challenging game. My 8 year old Brayden is very smart and mature for his age and would probably love this! Thanks for sharing! I’ll have to get it for family game night. This looks like a fun game! 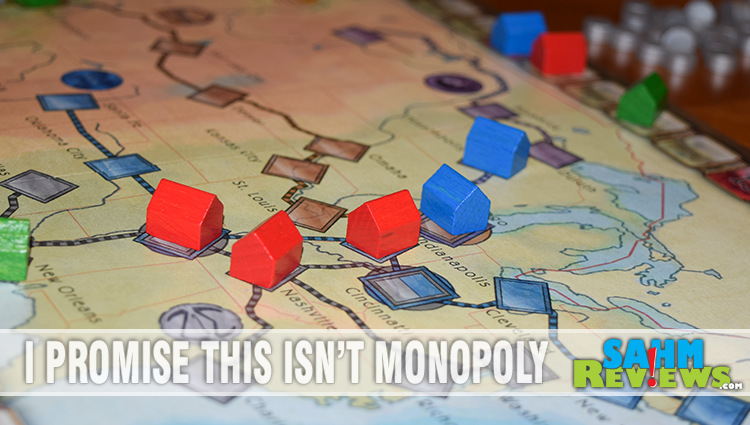 It looks very similar to Ticket to Ride! We play Ticket to Ride all the time up at the family’s cabin! I will have to look into this game further. I didn’t realize there is conventions like that for board games!! This sounds like a fun game, I know my son would have a blast playing it. That’s a cool-looking game. Looks really complex, yet fun. 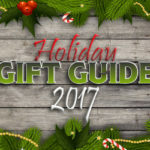 I have a lot of family game nights so always looking for new things! This looks like a super fun game. Im a big board game person! We are always looking for new game, this one looks like fun! The art work looks pretty great on this game! I think my kids would like it. Looks like a challenge and fun!